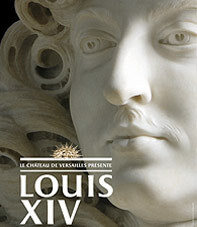 This exhibition, Louis XIV, man and king, brings together more than 300 exceptional works coming from collections all over the world and never shown together before. Paintings, sculptures, objets d'art and furniture will be exhibited. These masterpieces, some of which have never been presented in France since the days of the Ancien Regime, will enable visitors to get to know the famous monarch better in both his personal tastes and through his public image. By assembling the works appreciated by the King, a genuine portrait emerges of a passionate lover of the arts and a man of good taste through the jewels, cameos, medals, miniatures and objects of art, as well as the paintings and sculptures that he loved to surround himself with in the Apartment in Versailles.